The Asbury Park Press reports the two-bedroom cottage in Long Branch, New Jersey, is on the market for about 350,000 dollars. Real estate agent Susan McLaughlin said tourists stop by the house "all the time." The five-room residence has three owners. And McLaughlin told the newspaper that two of the owners would consider keeping their shares and selling only a one-third stake. A price for that hasn't been set. 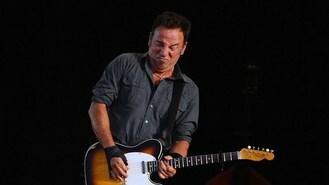 Springsteen rented the cottage in 1974 and '75 when he wrote the music for his seminal Born To Run album, which features the title song, plus Jungleland and Tenth Avenue Freeze Out.